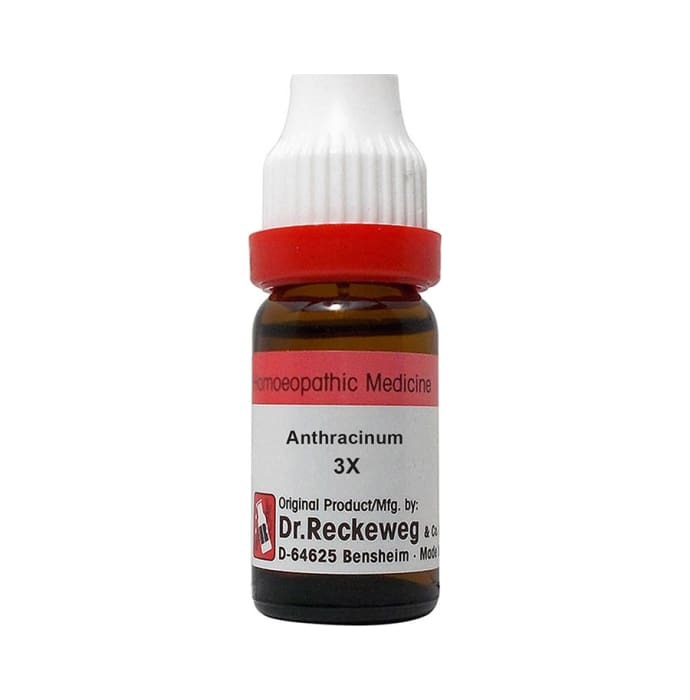 Dr. Reckeweg Anthracinum Dilution is used as a medicine for inflammation caused due to septic. Ulcers that are malignant in nature can also be cured to a great extent. The dilution is effective in treating various skin conditions caused due to harmful bacteria like boils, acne, and boil like eruptions, thus helps in maintaining a flawless appearance of the skin. If a burning sensation occurs due to minor burns, it can easily be soothed with the help of this medicine. Sometimes, inflammation can occur on the connective tissues of the skin which can be relieved to a great extent with continuous use of this medication. The medicine also curbs the adverse effects caused in a person as a result of inhaling any foul or harmful odours and provides relief in case of oedematous cellular tissues. This dilution also promotes the growth of new cells in case of shedding of the skin.